Discover the Board members and community partners who enrich the education of Imagine Schools students in communities across the nation. At Imagine Schools, we believe our quest for excellence is a journey, not a destination. 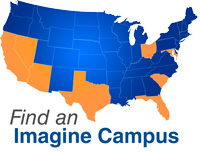 Discover campuses in 11 states and the District of Columbia where students are prepared for lives of leadership, accomplishment, and exemplary character.